Protect the systems that keep your business productive. 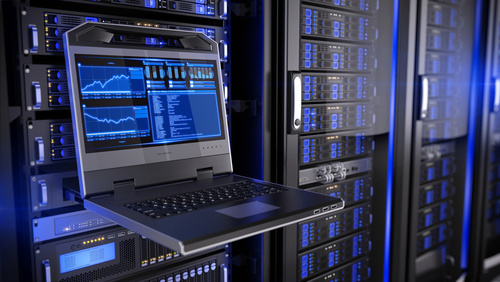 Value Automation’s computer networking services in Tampa, Clearwater, St. Pete and surrounding areas will keep your machines secure and running smoothly. Whether it’s your family history with those precious photos on your home computer, important bank account and bill paying information, or invaluable mission critical business files, you don’t want to suddenly lose your data because of a computer glitch or total shutdown caused by a virus or a hacker. If you neglect to keep your networks maintained by professionals, it could easily happen. With the internet being an integral part of both our daily and business lives, Value Automation is prepared to handle all your IT issues, large and small. All of our technicians are highly trained in all areas of computer networking services and stay on top of all hardware and software developments in the computer industry. One of the great disadvantages in not having an on-call IT Company familiar with your system is that you could waste valuable time and resources via guesswork, and still not have the problem solved. At Value Automation we don’t just do repair work; our skilled and knowledgeable technicians can install your system, analyze it, and prepare your network for future IT developments so your business can stay technologically updated and competitive in the market place. The internet and computer networking have allowed small businesses to become large businesses. With the additional reach your business will have in the global marketplace, hiring Value Automation to handle all your computer networking services in Tampa, Clearwater and St. Pete will minimize the risk of disaster when complex technology fails. It’s wise to make sure you hire a company with expert technicians on 24-hour call who understand the ever-changing technological landscape. Our computer networking services will run security audits and our technicians know which points of exploit are unnecessary on your host servers. Our technicians know what to look for, how to find it, and what to do about it. Like the technology it counts on to function efficiently, your business cannot afford to stand still with a glitch or breakdown, or operate with the fear that your database could be compromised. The importance of security for your business cannot be overstated. But making sure your computer network is operating efficiently and that your security measures are in place could be a full-time job and a lot of worry for your business manager, who already has his or her hands full running the business. So who can you trust for the job? Hiring an outside, experienced, and trustworthy computer networking service company like Value Automation to setup and monitor your computer infrastructure security is the obvious answer. As your business grows (and who doesn’t want that?) incorporating and adapting new data and software to your existing system is a task for only the best, most experienced IT Company in the Tampa, St. Pete and Clearwater area. Value Automation’s computer networking service can be your virtual IT “partner” and keep your computer systems secure and prepared for technological innovations your company will need to stay ahead of the game. At Value Automation our expert computer technicians are always on call; Call us at 813-704-0302.